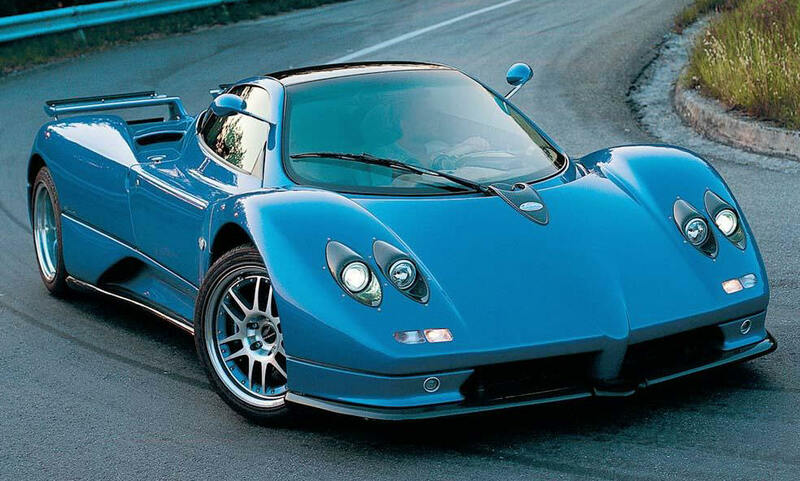 The Pagani Zonda is a mid-engined sports car produced by Pagani in Italy. It debuted in 1999 and continues through the present, with production proceeding at roughly 17-19 cars per year. As of June 2009, 106 Zondas had been built, including test mules. Both 2-seat coupe and convertible versions have been produced. Construction is mainly of carbon fiber. Some of the early Zonda engineering was done by Formula One champion Juan Manuel Fangio. The car was originally to be named the "Fangio F1" after him, but following his death in 1995, it was renamed for an air current above Argentina.